In Kumamoto Prefecture, Japan, in a spot not too far from Aso, where our tea is grown, you can find the famous Tsujunkyo Bridge, one of Japan's largest aqueduct bridges. 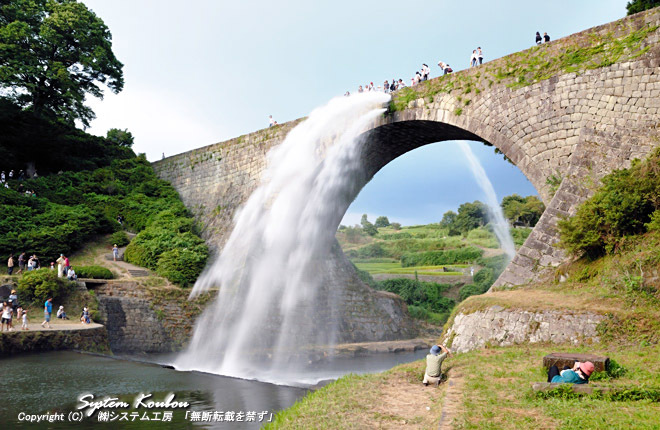 The bridge is located in the Kamimashiki region of Kumamoto and was completed in 1854. The Tsujunkyo Bridge is famous for its picturesque beauty, and for the beauty of its waterspouts (used to clean the aquaduct) and of its rural surroundings.